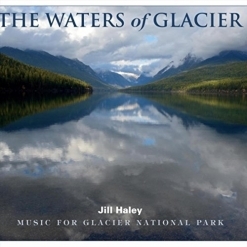 The Waters of Glacier is the fifth in series of recordings about the US National Parks by Jill Haley. 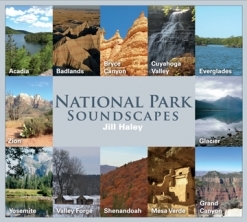 Her 2016 release, National Park Soundscapes, was a "thank you" and celebration of the Park Service's 100th anniversary. Known primarily as an oboist and an English horn player, Haley is also a very accomplished pianist and plays the piano extensively on these wonderful recordings. In 2016, Jill was able to spend a month in Glacier National Park as an Artist in Residence and composed several of the pieces on the album while she was there. She also took photographs, some of which grace the booklet inside the CD. In addition to Haley’s musical artistry, her husband, David Cullen, appears on guitar and her daughter, Dana Cullen, plays horn. Tom Eaton performs on electric guitar and keyboards, and Eaton and Michael Manring play bass on different tracks. The music is varied, as is the scenery in this spectacular park. When Haley arrived at Glacier in October, she was expecting beautiful fall weather. Instead, she was greeted with rain and snow. 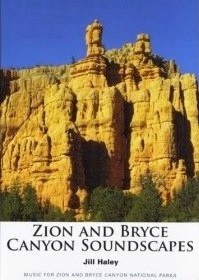 She decided to accept this “change in plans” as a gift and focused on the water in its various forms within the park. The results are beyond beautiful. The Waters of Glacier begins with “Clouds on Apgar Range,” a piece performed with handbells, English horn, piano, bass, and keyboards and inspired by cloud formations floating among the Apgar Mountain Range. Slow, serene and graceful, it’s a lovely start. “Rain on Huckleberry Mountain” is a duet for piano and English horn (how does she do that???). Cool and refreshing, the piano suggests the steady rhythm of falling raindrops as well as a walking pace while walking a mountain trail as the English horn creates a feeling of peaceful solitude. I really like this one! 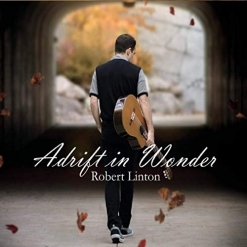 “Glacial Lakes,” a duet for guitar and English horn, is also very calm and soothing, evoking images of ripples on the surface of a lake as a gentle breeze quietly stirs the water. “Running Eagle Falls” picks up the energy level in a tribute to a Blackfoot tribeswoman and the waterfall that bears her name. “Falling Gold” is an ensemble piece for piano, oboe, keyboards, electric guitar and bass that gracefully describes the golden aspen leaves drifting in the air and carpeting the surrounding area. I really like this one, too! “Montana Rivers” is a trio for oboe, guitar and bass (Manring) that captures the power and majesty of the waterways flowing through Glacier Park. “Solitude,” the only piano solo, brings the album to a close as it expressively describes Glacier National Park as “a perfect respite from the busyness of daily life” (quoted from the liner notes). I have reviewed four of the five albums in this National Parks series and love them all, but I think The Waters of Glacier is my favorite (so far!). The album is available from Amazon, iTunes and CD Baby. Recommended!